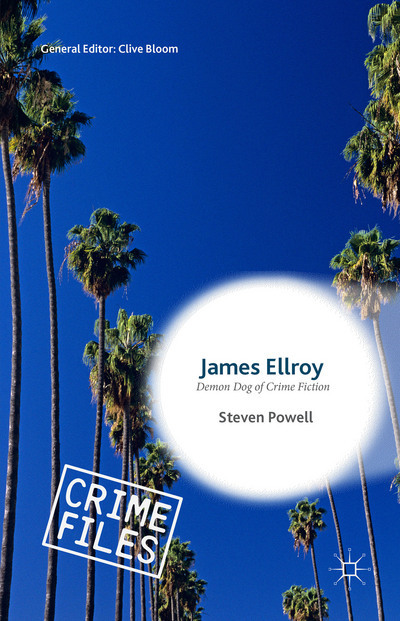 You can find below links to all my posts on the life and work of James Ellroy, plus here are the links to info on my two books Conversations with James Ellroy and James Ellroy: Demon Dog of Crime Fiction. The titles of the posts are fairly self-explanatory, so I haven’t put a synopsis underneath. If you’re an Ellroy fan, just enjoy the scrolling! Update: Since 2016 I’ve published several articles by Ellroy aficionado and friend Jason Carter. Jason’s posts are marked by his initials after the title. Hi Steven! I absolutely LOVED your “Conversations with James Ellroy” book! Will your new “Demon Dog of Crime Fiction” book ever be available in paperback? The hardcover price is just too much for me. Let me know. Thanks! Hi Jason. Thank you. It will be Palgrave’s decision. It may take years. The wheels of academic publishing turn slowly. Try the e-book edition or order a copy for your library. Thanks Steven! I just got the book through an inter-library loan. AWESOME! It’s a great companion to your “interviews” book and the books by Peter Wolfe and Jim Mancall. 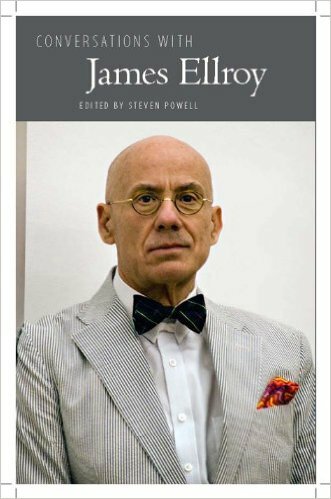 I’m so glad the literary criticism community is finally taking notice of Ellroy. I live in Denver, Colorado, and Ellroy moved here back in August. He hosts a monthly film series at a special theater in a south west Denver suburb (I’ll see him for his latest installment next week actually). I’ve attended every one of his screenings since they began in September. At our last event in January, he announced–loudly and humorously– to all the theater patrons that I was his son-in-law… so awesomely surreal. I wish more people could see Ellroy like this. His “Demon Dog” act is awesome, but it’s microscopic compared to James Ellroy the man. In reality, as you likely know, Ellroy is very kind and genuine when talking with his fans. Hi Jason, thanks so much. Glad you enjoyed the book. I’d heard that Ellroy had moved to Denver. I flew into Denver once and drove up to Wyoming. Just beautiful. I’m jealous you have such fantastic access to the man. Those film screenings sound fantastic. If he drops any hints about book 2 in LA quartet 2 let me know. I can feel a post coming on about this new title. It’s quite intriguing. Thanks for the info Jason.